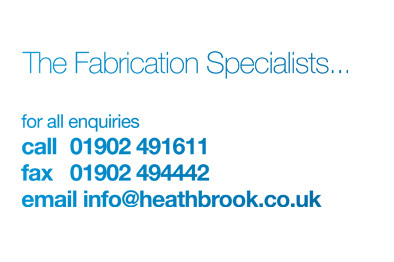 “As a well known technologies company, we have had Heathbrook as a supplier for many years and wouldn’t hesitate in recommending them to others. They have produced a wide variety of products for us in both mild and stainless steels, all to our exacting standards. “As a small project management and architectural practice, we find Heathbrook to be enthusiastic, helpful and an important supplier. Their prompt service, engineering advise and knowledge combined with a professional approach to all contracts, regardless of the value, enables us to fulfil our customers requirements and expectations.